A big leap in the development of the automotive industry have been carried out by Mercedes-Benz to create a vehicle which is to overcome a variety of terrains such as on the land and sea. 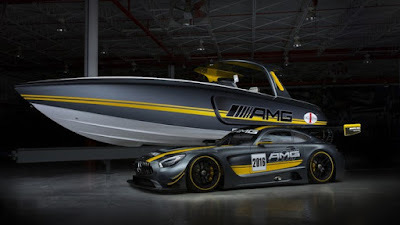 Mercedes-AMG and Cigarette Racing have been collaborating for six years, and is currently developing a boat that was inspired by the Defy Gravity. Using the engine technology that is inspired by racing cars belonging to Mercedes-AMG. The plan's the vehicles concept will be displayed in the Miami International Boat Show event, which took place on February 11 to 15, 2016 as well as providing new nuances in the automotive and boat lovers that with the collaboration of technological development, so various models of unique vehicles can be built. As reported by Autoguide, the Cigarette Racing 41' SD GT3 will join the Mercedes-AMG GT3 racing team, to display a high performance boat. Cigarette Racing has revealed the complete figure of this boat on February 11, 2016 by online on its official website, to show them who could not attend the event in Miami. 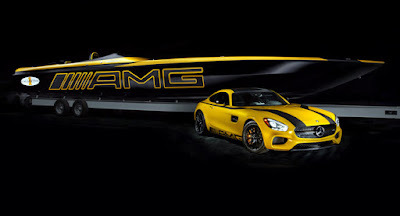 Last year, the two companies have also collaborated on another boat concept named Cigarette Racing GT S and Mercedes-AMG GT S is priced at $1.2 million (approximately Rp.16 billion). 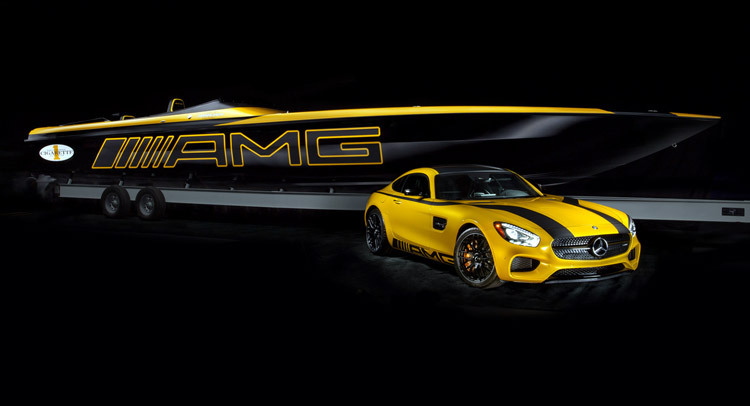 The vehicles get the title as AMG Solarbeam with a blend of yellow and black matte paint color.